Daniel Bryan's high-flying style of wrestling has always appealed to the fans and many feel he is 'one for the future' in the professional wrestling entertainment. 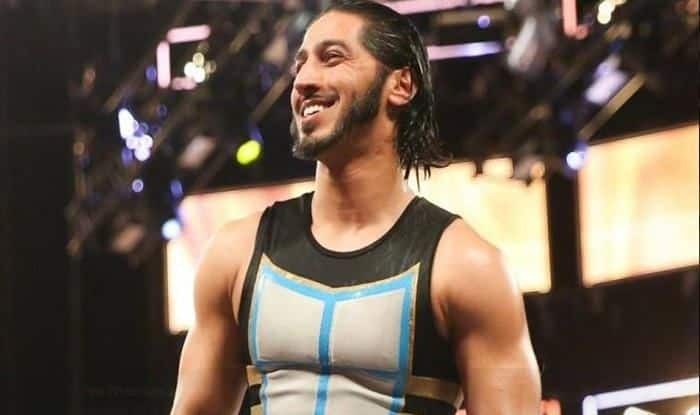 World Wrestling Entertainment (WWE) star Mustafa Ali is one of the new-comers in SmackDown. He made to the roster after a stellar year in the Cruiserweight division, 205. The wrestler wasted no time in impressing the critics and fans since making his SmackDown debut. Ali’s high-flying style of wrestling has been appealing to the fans and many reckon he is ‘one for the future’ in the professional wrestling entertainment industry. In a talk show podcast with wrestling legend, Chris Jericho, Ali revealed that Daniel Bryan played a huge role in making him a success in the SmackDown roster. “There is so, and I’ll never put words in anyone’s mouth, but there are so many inclinations that I’m having that he’s got more to say about it than he’s letting on,” Ali said. Ali’s debut match on SmackDown was against Daniel Bryan, where he displayed grit and character against the WWE champion but just came short of a win. However, he took all the matches following his debut with commendable charisma and style. His matches against Cedric Alexander and Buddy Murphy have been one of his finest performances so far.